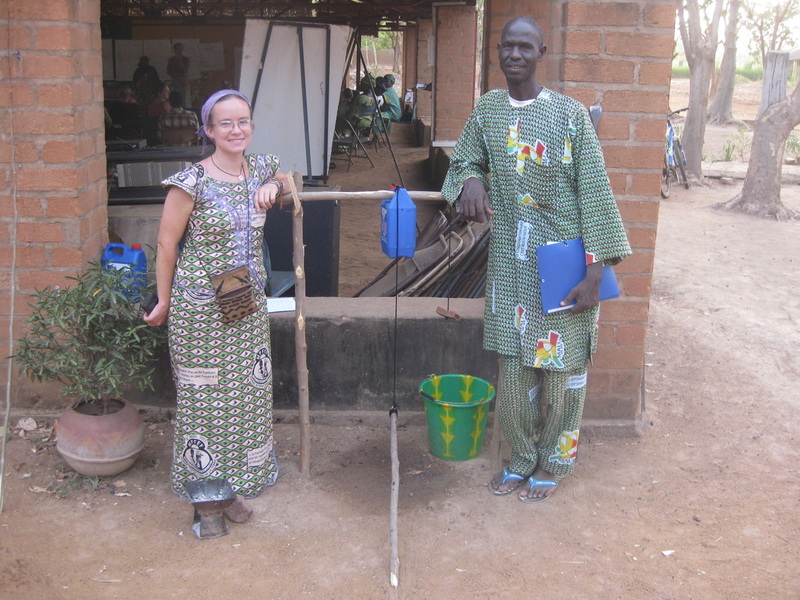 Colleen with her work partner, displaying a Tippy Tap handwashing station at a Peace Corps training. Colleen learning to knead Shea butter. Colleen with executive director of African Sky on his visit to evaluate her women's literacy project. Colleen Naughton's passion for international service and travel began in high school with her involvement in Model United Nations. She enrolled at Purdue University for her undergraduate degree in Civil Engineering since she decided she would like to learn how to solve problems and not just talk about them. 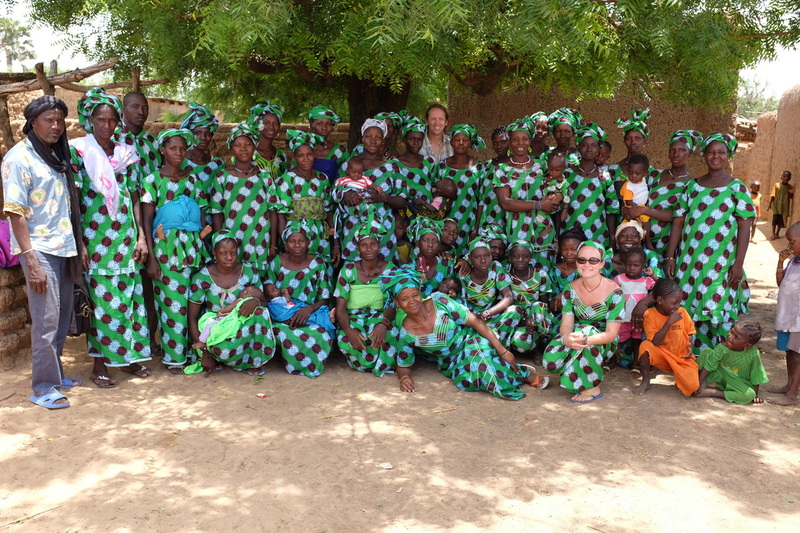 She volunteered in Ghana for seven weeks during the summer after her Sophomore year and realized why the Peace Corps service was a 27 month commitment in order to learn a language and build relationships in the community to solve their problems sustainably. In her senior year at Purdue she stumbled upon Dr. Mihelcic and the Master's International program and knew it was a perfect opportunity to prepare for the Peace Corps, get research experience, and her masters. She was part of the first group of Engineering Master's International students at the University of South Florida (USF) in 2008-2009. She extremely enjoyed her interdisciplinary course work and professors in engineering, public health, and anthropology that she applied in her service and research in Mali, West Africa from 2009-2012 (she extended a year longer since she loved Mali so much). Her Master's thesis Assessed Appropriate Technology Handwashing Stations. Colleen also went on for her PhD in Civil Engineering at USF where she is: (1) conducting a human and embodied, life cycle energy analysis of Shea butter production, (2) using Geographic Information Systems (GIS) to map the Shea butter belt across sub-Saharan African and estimate production potential and emissions association with Shea butter, and (3) conducting an ethnographic analysis of the importance of Shea butter to women and their families. She is an active member of the Global Shea Alliance. She also continues to serve the community where she was a Peace Corps Volunteer and Mali as the Associate Director of the non-profit African Sky. Colleen strives to continue her career in academia, international development, and research. Feel free to contact Colleen (ccnaughton@gmail.com) with any questions regarding the MI program, Peace Corps, or any of the organizations she mentioned.